Most of the notes in my Zimbabwe set come to me by way of a couple of different merchants that do a lot of business and have a lot of diverse inventory for the banknotes of that country and many others. One of those two merchants is BankNoteWorld (BNW). One of the interesting things about buying from BNW is the fact that they send a copy of this little book with every order that includes Zimbabwe notes. The book has gone through at least a couple of editions that I’ve seen. The older one is thinner and doesn’t include images of the notes under UV / black light. 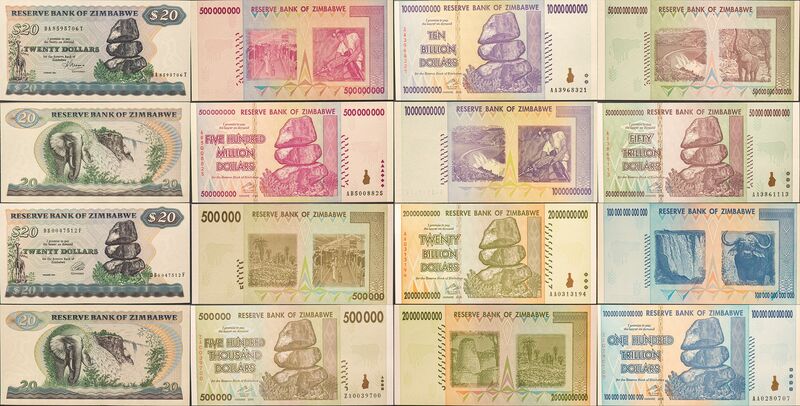 The new edition has images of the notes viewed under UV light in order to highlight some of the security features used on notes throughout the 2nd and 3rd dollar issues. Because I’ve ordered from them a number of times since 2015 I’d started developing quite a collection / stockpile of these books and I ultimately sent them a message and told them to stop sending them when they filled my orders - it’s a waste of money and paper. The book is mostly pictures - but they’re full color pictures on good paper, which says a lot about the commitment to quality on a book they’re giving out for free. I know they’re using it to encourage people to buy the whole set and buy more notes from them but I admire the commitment to making it look and feel good. There is one aspect of the book that I can’t help but find disappointing though. There’s only one page of the whole thing that has any meaningful text or which tries to provide a narrative for the notes. That one page talks about the Bearer Checks and the Special Agro Checks of the 2nd dollar as well as the regular banknote issues of the 3rd dollar. The part of it that bugs me is that they talk about these two sets like they’re the entire story - the full set of issues made during the hyperinflation period. That’s really not true though. The P-11b $500 dollar note and the P-12 $1000 note were both in use during what can be considered the very first part of the hyperinflationary period. The Cargill Bearer Checks, the Traveler’s Checks, and the Bearer Check’s that span from P-13 to P-32 are all first dollar issues that are very much part of the hyperinflationary period. The 4th dollars that followed in 2009 are also rightfully part of the group. I know why those issues probably aren’t in the book - the merchant doesn’t have many examples of those series in their inventory. At the end of the day, the book is more of a sales document and they’re not going to spend time and money promoting something that they don’t have in stock to sell. Still, I can’t help but find it frustrating that they’ve omitted these issues and not even spared a couple of sentences to acknowledge their existence. 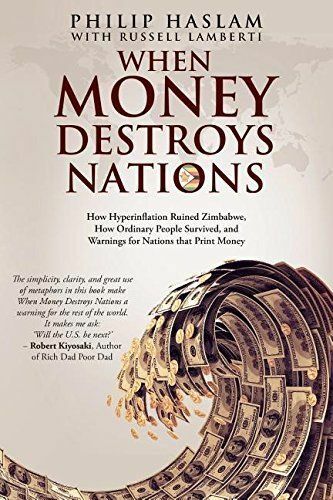 It’s not exactly a definitive text on the Zimbabwe hyperinflation and its banknotes, but, again, I have to acknowledge that it is what it was meant to be, not what I’d like to see in it. While I haven’t done so yet, I’d love to get a copy of Philip Haslam’s “When Money Destroys Nations: How Hyperinflation Ruined Zimbabwe, How Ordinary People Survived and Warnings for Nations that Print Money.” I think that book is going to focus on the nation and the economic narrative of the event and probably not spare much attention for the Banknotes that I’ve been obsessing over, but I still think it’d be an interesting read.